A Leslieville supervised injection site volunteer who struggled in the past to get an effective hepatitis C treatment is hopeful that an upcoming program will help tackle the issue. Opting not to reveal his last name, Francois said he had been “living under the bridge” and “injecting drugs” when he was diagnosed with the potentially deadly disease, only to suffer further from side effects of medications that ultimately didn’t work. “It was like the worst flu you’ll get,” said Francois, illustrating how he felt every time he went for his weekly injection. That was until the South Riverdale Community Health Centre, which houses the supervised injection site known as KeepSix, offered newer, more effective treatment. Cured from the liver disease, the 42-year-old wants to see more people getting access to hepatitis C treatment without all the hassles. The prevalence of hepatitis C in the group of people who use drugs is quite high, according to Dr. Jeff Powis, a Toronto infectious disease specialist who’s at the helm of a new “one-stop shop” hepatitis C virus (HCV) program in South Riverdale CHC that aims to diagnose and treat hepatitis C among injection drug users. Powis said the new machine allows them to “use a finger prick to draw blood” and the result can be out in “about 90 minutes.” This will reduce the long wait time between those getting tested and receiving their results. The one-year study, which will begin next month, is targeting hepatitis C testing for 70 per cent of injection drug users; providing curative therapies for 80 per cent of those diagnosed; and reducing new infections by 90 per cent. Getting rid of the disease motivated Francois to get his life back on track. He has not injected drugs for about two years, now works part-time and has his own place. He hopes the pilot program will help reduce the stigma that others still face. 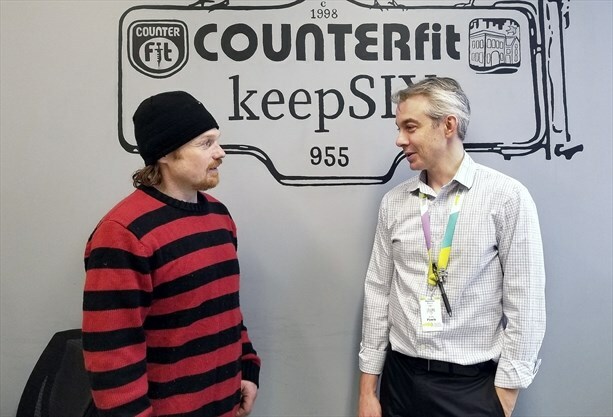 “People (in the community) feel ashamed they got hepatitis C. Some of them won’t go ask for help,” said Francois, making a point that keeping the screening and treatment process in one facility will encourage more participation from KeepSix users.